Make a good impression by showing your work at its best! Do you have a show submission coming up, or need to create art cards and prints? 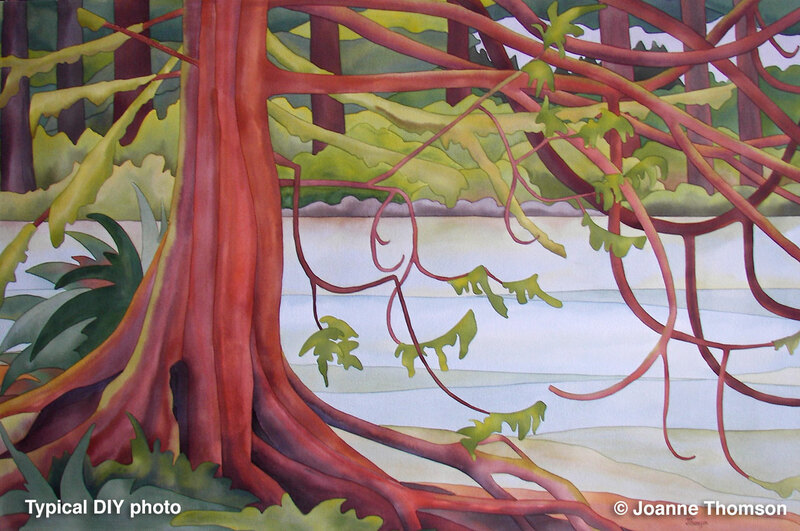 Are you preparing your portfolio or looking to promote your artwork online? 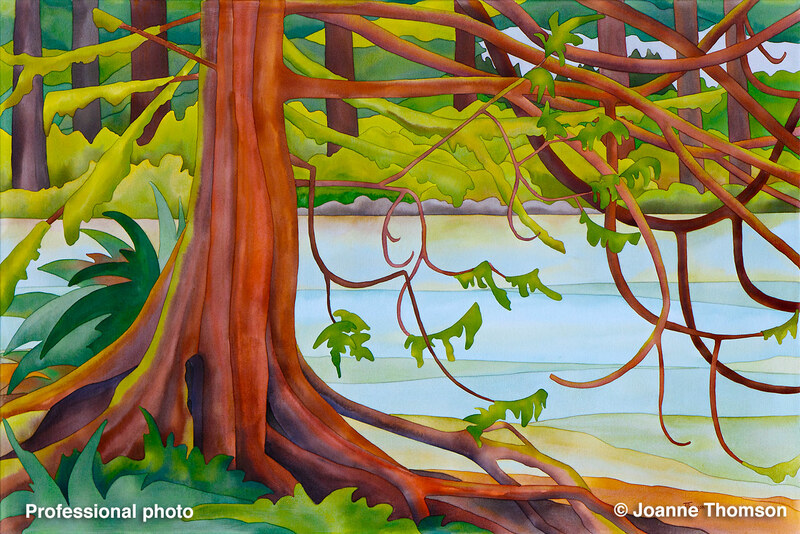 I can create finest quality scans and photos of your original 2-dimensional artwork. As a working artist and designer I know the needs of both the artist and the print business. 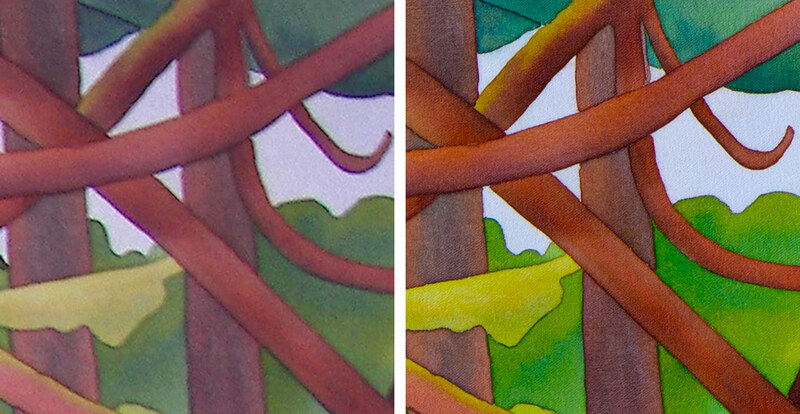 The artist’s own photo is on the left, my photo on the right (and reduced in size to match). See how much better this beautiful art looks now? 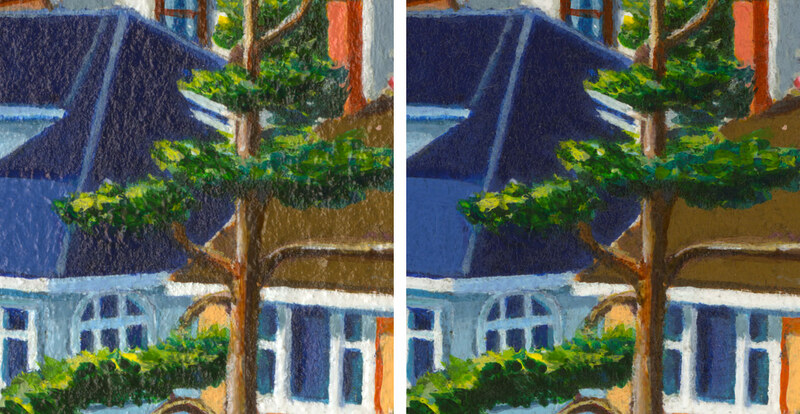 A high-quality reproduction does your work the justice it deserves and will help you sell that card, get that commission or have your piece accepted into that show! My colleague Joanne Thomson showed good judgement when she hired me to photograph her work, as this is one of her best-selling cards. I like to think I helped a little with that. Some works may be challenging to photograph or scan, especially those which are highly textured or varnished to a high gloss. 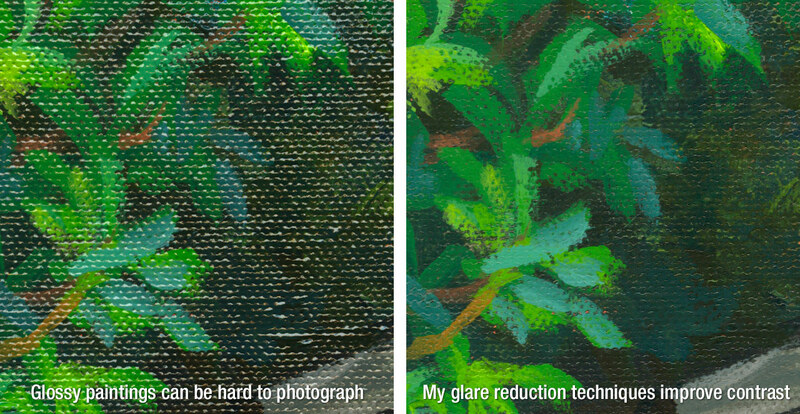 For both photographs of work on canvas and scans of work on paper, I have developed techniques to mitigate glare and unwanted texture artifacts. It is also possible to scan or photograph larger works in sections and stitch them together if you require large, high-resolution reproductions. These extra services are available for a negotiated additional fee. Paintings of any size, will result in about 15 to 22 megapixels depending on the proportions of your image. A colour chart will be photographed alongside your artwork to ensure colour accuracy. Cost: $10 session setup fee, plus $30 for each piece. More specific requirements can be met, just let me know. You retain all copyrights to the images. Contact me here if you would like to discuss what I can do for you. Please excuse the little math quiz at the end — it’s an anti-spam measure to prove that you are human. All fields are required. Or call my landline at 250-704-0011.